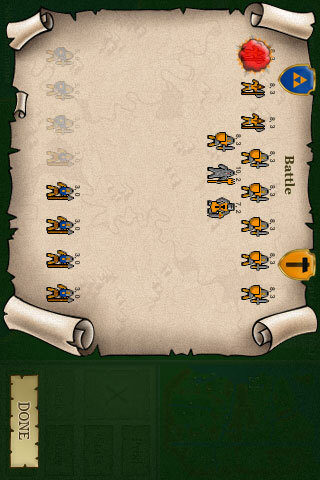 Join the war to conquer Illuria in this classic fantasy strategy game. Any combination of up to eight humans and AI players can battle it out for control of the map - it's your choice. The mission is simple - to eliminate the other sides by capturing their cities. But victory is never easy - it can only be achieved by building massive armies, training and equipping mighty heroes, befriending legendary allies , and exploring the deep dark secrets hidden within Illuria's ruins. So make your choice! Will you lead the Sirian Knights, the Gray Dwarves, the Storm Giants, the Orcs of Kor, the Elves of Elvallie, the Horse Lords, the mysterious Selentine Empire or the evil Lord Bane? Whomever you choose, fortune and glory await! Q: Why does not Warlords save the game? 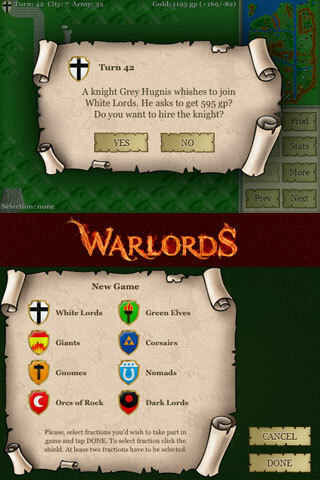 A: Warlords does automatically save the current game on end of turn, before and after the battle and on exit. Q: Why do I have to play only one game? How start a new game? A: Currently "Load Game" is only available on starting the application. This means to start a new game or load saved game you have to close the application. 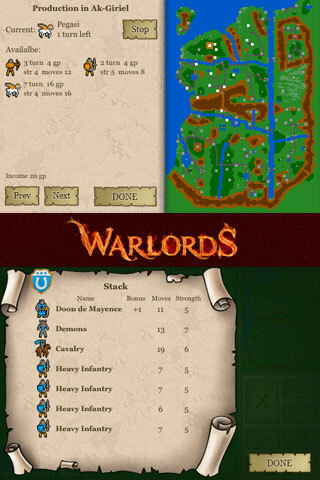 If your iDevice running iOS 4.x you have to tap home button, wait for home screen, double-tap home button, tap-n-hold Warlords in Multitask area in the bottom of the screen, tap (X) on Warlords and run it again. The ability to get to Main menu will be added in next update. A: Since Warlords Classic is a Warlords 1 port, the only one original map Illuria is currently included. 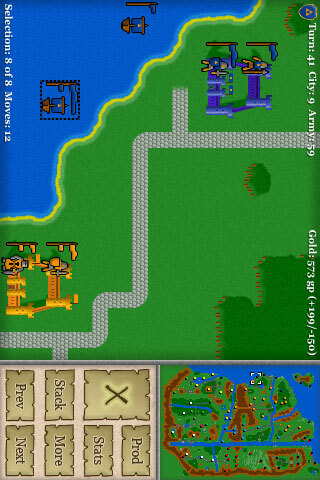 Q: Where is "Fog of war" option? A: Since Warlords Classic is a Warlords 1 port, and the "Fog of war" was introduce in Warlords II, it is not implemented in Warlords Classic. Update: We are currently working on an update will bring more not yet implemented original features to the game.